Take Legal Advice is a free online search and (as claimed) confidential legal matching service. Users complete a brief questionnaire giving the details of their cases which is then sent to the appropriate firms who could provide assistance who then respond to users giving an outline and cost estimate of the case. ---------------------------------------------------- Please Note this service is only free to find a actual solicitor that may be suitable! the resulting advice given may be chargeable and or the advice line may have a charge per minute! The Citizens Advice Bureau gives basic advice and information on your rights. It gives you a broad outline of where you stand and what you can do. Topics covered benefits, civil rights, communications, consumer affairs, education, employment, family matters, health, housing, immigration, legal system, tax, travel. Access to free legal advice, referrals, ask-an-attorney options and more. Lawyers from 26 countries are available for consultation 24 hours a day. Offers total support on three levels Unlimited, free access to Desktop Lawyer documents, letters and legal information free access to professional legal advice over the phone and legal expenses insurance to cover a wide range of disputes. World Law Direct offers free legal advice and 247 online help for legal problems around the globe. Ask a lawyer for free and receive legal solutions to common problems. The legal firm operates around the clock by having over 400 lawyers online in over 26 countries. The firm covers international law, business, finance, family and employment law just to name a few. A small independent charity with a mission to support, promote and encourage a commitment to pro bono across the solicitors' profession. 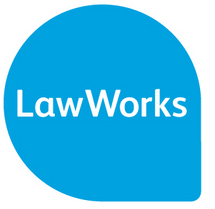 Solicitors across England and Wales have always provided free or reduced cost legal advice and assistance to those ineligible for legal aid from the Legal Services Commission but unable to afford legal fees.